When God created us He provided the opportunity to work as a gift. Sometimes school or our jobs seem more like punishment than a place to make a difference in the world but God sees our heart attitudes and the actual work we accomplish and He will reward us for a job well done. The Bible even says we are to work as if we are working for the Lord – even when the boss or teacher can’t see us. 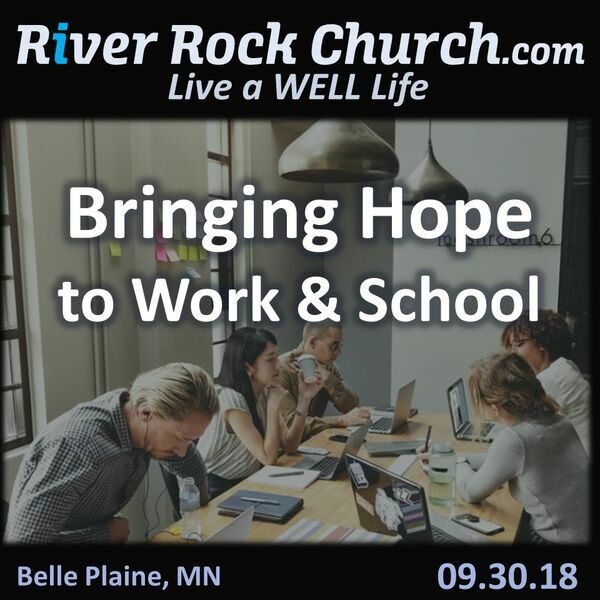 Work and school is a great place to show and share your hope in Christ. Listen and be encouraged to work and study well while you look for opportunities to bring hope to the people around you.